Private 3 acre lot with well maintained double wide manufactured home. New wood laminate floors throughout. Multi use ~ 24'x20' garage serves as a workshop with air compressor and additional storage space. 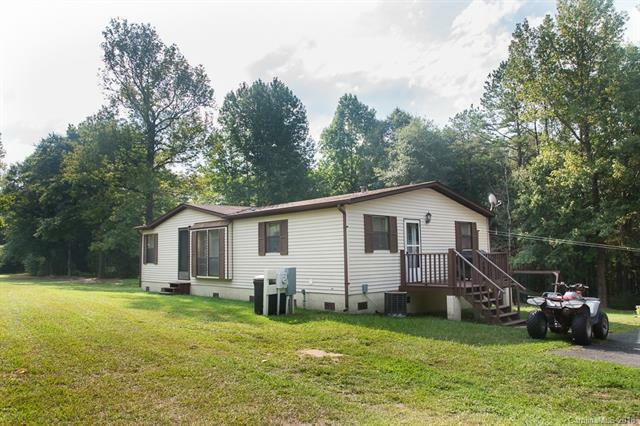 One deck on side porch with gas grill and another deck on the back with a hot tub to enjoy your private partially wooded lot. Driveway from Hall Spencer Rd. is gated for privacy, also paved 2nd half to house, 1st half is gravel. Approximately 3 miles from I77 in the beautiful York County countryside.